Team The Energizers want to spread energy. Renewable energy, that is. 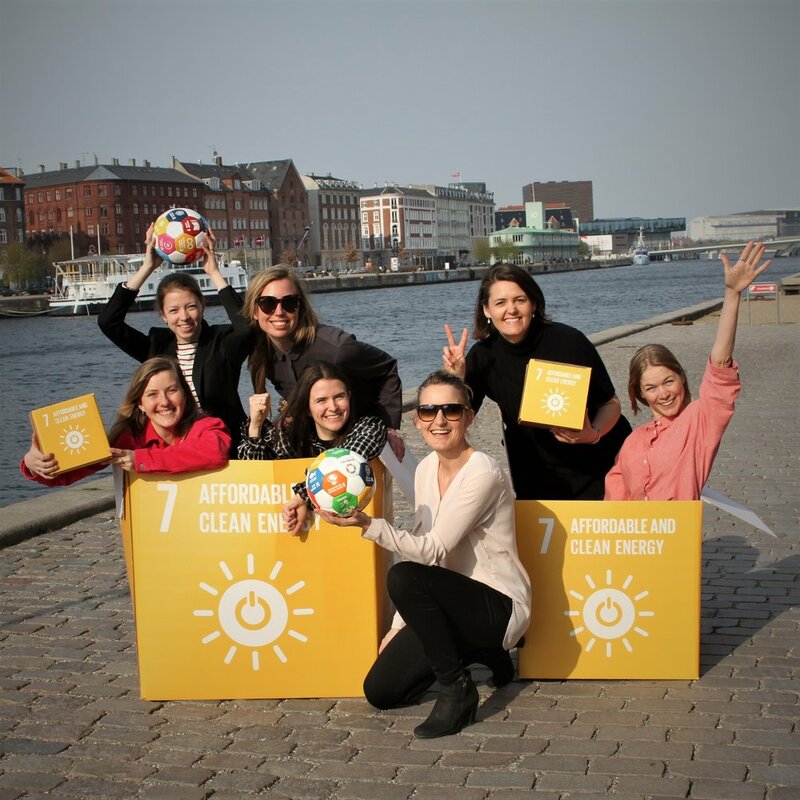 The Energizers are from the Ministry of Foreign Affairs of Denmark and they are playing for Goal 7: Clean and Affordable Energy. Our present energy sources cause devastating pollution and, meanwhile, one in five people still lacks access to electricity. Electricity is essential for solving many global development challenges - however, present energy sources harm the environment. How will the team take action for their Goal? We want to raise awareness about the global problem that our present energy sources cause too much pollution and that every five person still lack access to electricity. Electricity is essential for solving many global development challenges - however, present energy sources will harm the environment. Hence, as the demand for electricity increase, the need for renewable sources of energy (and the production of renewable energy) does as well. Hence, we want to raise awareness of the importance of secure renewable sources of energy.